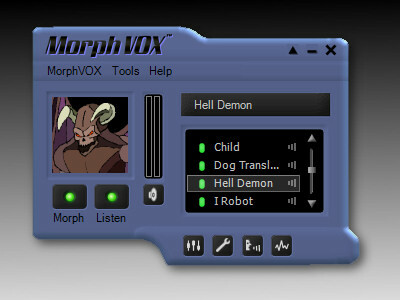 The Blue Satin Skin is now available for MorphVOX Voice Changer. Download it for free. For those who are looking to save precious space, this free graphical add-on for MorphVOX voice changing software will economize your desktop without compromising functionality. In fact, Blue Satin actually will improve your productivity with a clean simple interface. The unobtrusive blue color will also blend in quite well with most desktops.